What exactly is radionics? In this article, we will explore its early beginnings and some of the terms used within the field. Radionics is a process by which a practitioner can tune into an object, place or living entity and correctly diagnose ailments or create a link with the subject which operates at a quantum level. The practitioner can then apply a desired outcome to the subject by tuning into the outcome and transferring it by the link already created. 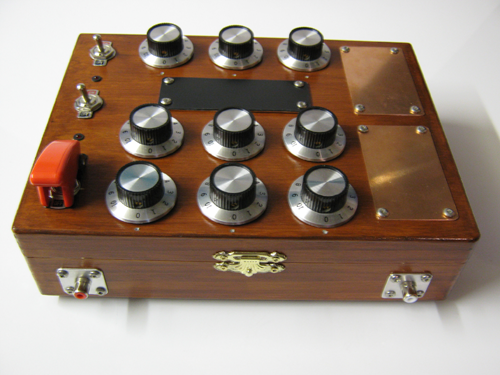 Radionics was the brainchild of Dr Albert Abrams in the early part of the 20th Century. He quickly gained credibility with his devices among the medical profession of the day. However, radionics is not without its controversy Over the years a number of scientists have sought to disprove its effectiveness claiming that there is no known evidence for its effect, and that it cannot be proven in controlled lab conditions. It is for this reason that the American FDA banned the use of radionics in medicine. Luckily, the use of radionics is thriving in Europe, with alternative therapists and experimental medical professionals taking up the reigns. You may be thinking, “If scientists have disproved it, then it must be a scam?” This is not the case. The experiments carried out were of yesterdays standards and did not take into account recent advances in frontier physics and biology, which has an ample amount of evidence supporting the human mind’s ability to create its own reality. With these recent advances, we can see how the radionics instrument can be used as a tool to facilitate the connection of the human mind with the universe that surrounds it. There are a number of radionics devices on the market some aimed at just gathering information from a sample or subject, others are tailored to compliment the target by creating a connection with an outcome also known as a trend. While there are many devices they all operate in a similar manner using the vast potential of the human mind. More advanced machines will contain the latest breakthroughs in technology and physics all aimed at improving the connection of the operator with the universal field. While researching radionics you will come across a number of terms. In the next section, we will look at these various terms. The witness: The witness is used to refer to a sample of the subject or target. This sample can take the form of a drop of blood, clipping of hair, or even a photograph. It is the witness which allows the practitioner to tune into the target. The trend: The trend refers to the desired outcome. For example, if the practitioner was to diagnose a disease in the subject the trend could be an intention to reverse, balance, or cure the disease. The trend can take a number of forms, but the most widely used is a written statement on a piece of paper placed on the trend plate. You can also broadcast medication to the subject by placing some on the trend plate. In agricultural radionics a pesticide can be placed on the trend plate and be broadcast to a photograph of the affected crop which is placed on the witness plate. The stick pad: Most radionics machines will come with either a stick pad, or a pendulum. The stick pad is a dowsing or divination tool just like the pendulum and is used to get the radionic rates. The operator will rub their finger lightly around the stick pad while tuning the rate dials until they feel a stick. This feeling manifest differently in each individual but will usually feel like your finger cannot move anywhere or as if the stick pad has become tacky. The rates: In traditional radionics the rates are set by tuning a number of dials. The dials will usually be numbered from one to ten or one to a hundred. It is thought that the rates represent a multitude of alternate realities all vibrating at a separate frequency. When you get a stick on the pad while tuning the dial you have unconsciously tuned into the appropriate frequency or vibratory rate of the witness or trend, the numbers on the dial being a physical representation. As you may see radionics can be used for a number of positive applications. It is not just limited to health and medicine. With radionics you can manifest anything you set your mind to. From manifesting events to using it for self improvement, the choice is yours. Welcome to the radionics home page of Berkana Path. On this site, you will be able to explore a number of articles and videos related to the subject of radionics and psionics. Other subjects covered will be orgone energy, dowsing and various manifestation techniques. Feel free to sign up to the member’s area to receive a ton of cool free stuff, from radionics patents, device schematics, simple machines you can construct, to audio’s and software. Take your time to explore this site and discover the amazing field of radionics, you may also want to check out the other sites in the Berkana Path network.